Diabolus are going to Europe. 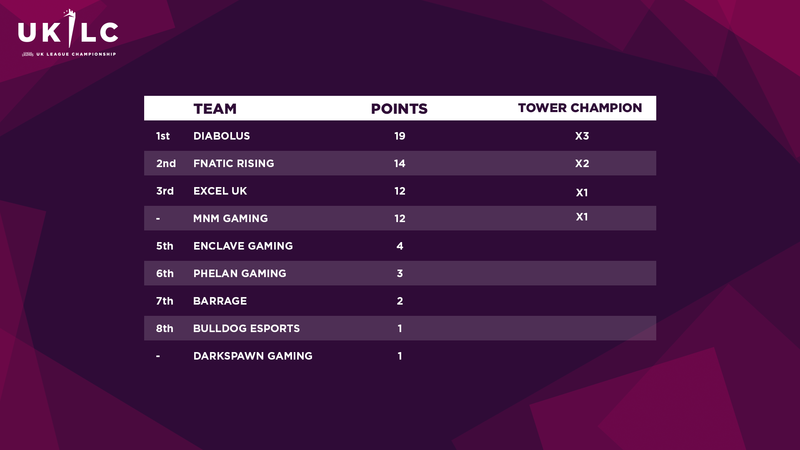 With another strong tower defence, the Devils have secured first place in the table with a week to spare, guaranteeing themselves an EU Masters spot. 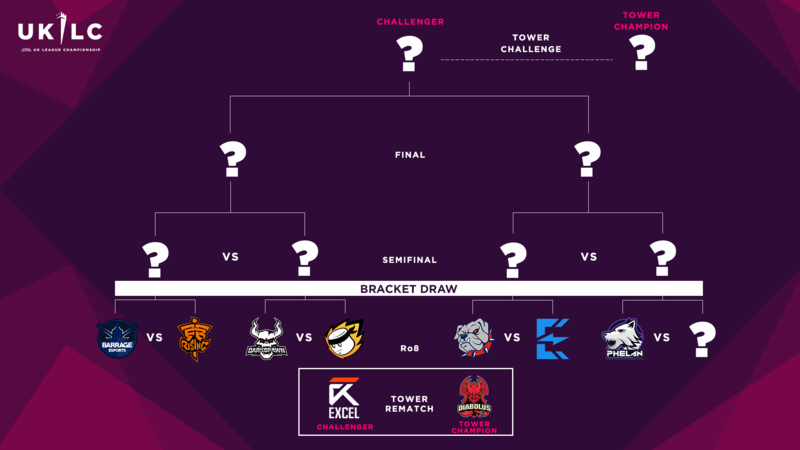 The rest of the UK League Championship top 4 has also been decided, meaning that we know which 4 teams will be going to Playoffs: Diabolus, Fnatic Rising, Excel UK and MnM Gaming. The winner of the Playoffs will go to EU Masters as our first seed; if Diabolus win, the other Playoffs finalist will also qualify. 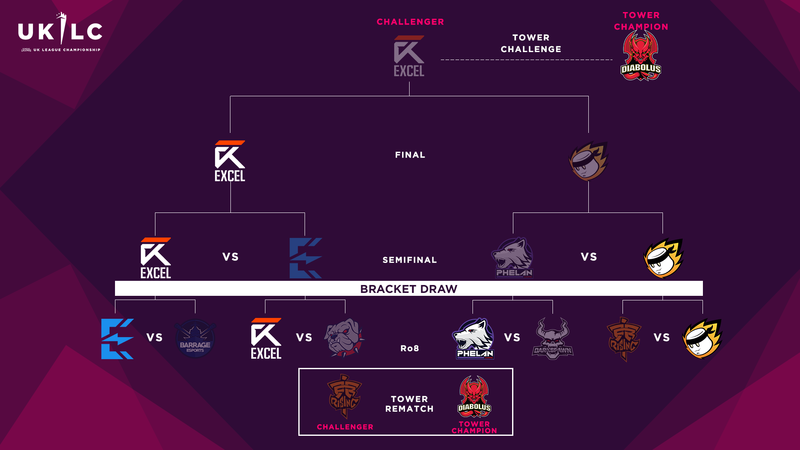 Another disappointing week for Fnatic Rising saw them go 0-2, while Excel UK and MnM Gaming both locked their Playoffs spots by scaling the tower. 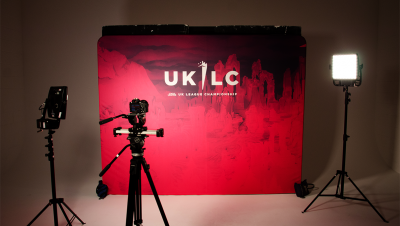 Of the rest of the teams, only Enclave Gaming managed to secure their UKLC safety; the rest could still fall into a relegation battle if they end in 8th or 9th place. The day started with the tower rematch, and Diabolus picked up right where they left off: making decisive calls and cleanly ending the game. At 20 minutes, they held a slender lead over Fnatic Rising, but an incredible 12-second Baron sneak as soon as the big purple worm spawned gave them all the tools they needed to push for the win. And that was no exaggeration. With 13 kills and 47% of his team’s total damage to champions, Warszi (on Zed) had an astounding performance, constantly punishing Barrage—and Artorias in particular—for becoming isolated. Hiprain declared the next game, Excel UK against Bulldog Esports, his favourite of the split thus far. If you missed it, here’s the replay (beware: spoilers below)! With Bulldogs welcoming back their original jungler, Saizo, to the starting line-up, their early game immediately looked stronger than in previous weeks. Coupled with Excel’s distinct unwillingness to pull the trigger, Bulldogs absolutely dominated control of the neutral objectives, racking up 5 dragons and the Rift Herald. 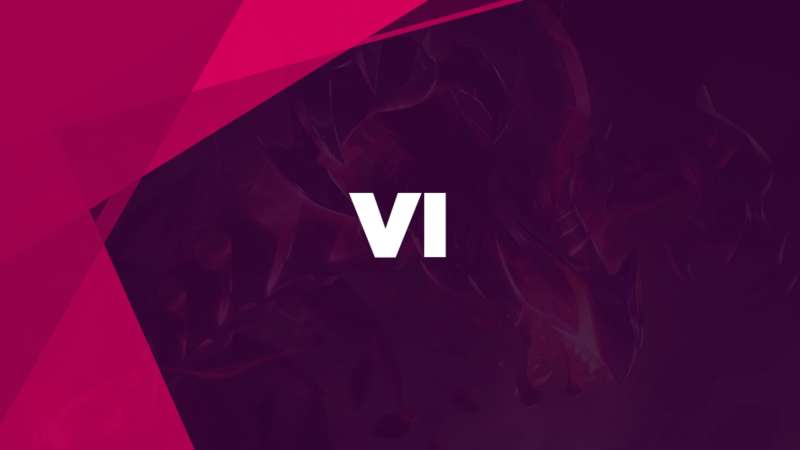 But despite a 7.7k gold lead, they could not close out the game, with a lack of decisiveness allowing Innaxe’s Vayne to scale to unstoppable strength, as Excel returned to the semifinals. “Camp top.” That seemed to be the gameplan for DarkSpawn Gaming in their game against Phelan Gaming, where substitute mid laner BB Muffin was having an awful time getting repeatedly dove on his top lane Vladimir. But whilst PFI and Akkers snowballed top, Achuu’s Jinx was freely scaling up in the bot lane, and his strength allowed Phelan’s teamfighting composition to truly come together in the mid game. DarkSpawn were unable to keep up with the Wolves’ long-range damage threats and remained in the relegation zone, while Phelan maintained their dream of an unlikely Playoffs run. The final Round of 8 game of the evening saw Fnatic’s second defeat of the night, as they absolutely fell apart against MnM. Despite Fnatic accruing a 5.5k gold advantage by 17 minutes—and a 10-kill lead not long later—a quick catch onto MagiFelix’s Lissandra lead to a huge teamfight win and a Baron for MnM. With Monk’s Kog’Maw up and running, they were able to push the lead to a decisive 26-minute victory. The semifinals proved to be dream-killers, as both Enclave and Phelan had their Playoffs hopes crushed by Excel UK and MnM Gaming, respectively. The first match was an odd affair; rather than a dramatic, bloody assault, Excel UK instead conquered Enclave by gradually out-pressuring them on the map, despite being down in kills throughout. Their slow-and-steady approach allowed them to control the lion’s share of the vision. Then, Exile’s Ryze drew plenty of pressure in the sidelane, opening space up for his team to siege and take towers, as Excel manoeuvred themselves into the bracket final. The other semifinal was somewhat more volatile, with mumus100’s Sylas stealing the show. He trod the knife’s edge between feeding and farming with apparent ease, baiting in Phelan just to turn around and secure a kill on multiple occasions. Despite BB Muffin’s Fiora beginning to show signs of outscaling, MnM were savvy enough to pull off a Baron and close out the game before she became an issue. That locked us in for a tower bracket final between Excel and MnM. With both teams still aiming for the top of the table, someone needed to step up—and that someone was Taxer, who, on Sejuani, helped his side once again dominate map pressure (with the help of a strong bot lane) to close out for a sub 25-minute win. If the previous game had been Taxer’s, the tower challenge was the Munckizz show. Once again winning MVP on his signature Rek’Sai, he was a menace across the map, securing 9 kills and flawlessly dominating teamfights to help his team lock down first place and go to EU Masters. Here’s the standings: while Fnatic could theoretically draw level with Diabolus on points this week, their inferior head-to-head record ensures that they would be unable to steal top spot from their rivals. The results also mean that at least one LEC team will miss out on EU Masters this split! 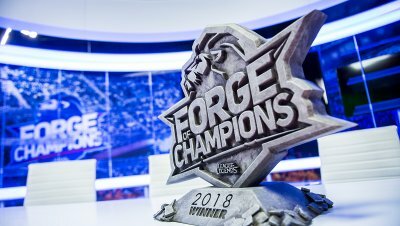 For the final week of action, attention will turn to the relegation battle, while top teams will be playing for seeding into the Playoffs and Forge of Champions (remember Forge? More information on that tournament will follow soon)!